On Friday 1st June, the HEY CU team were paid a surprise visit from a very kind little boy named Benji, aged 5. Benji had heard about the work that HEY Children’s University does and decided that every time he received any pocket money he would keep half of it and put the other half in a savings jar for HEY CU. 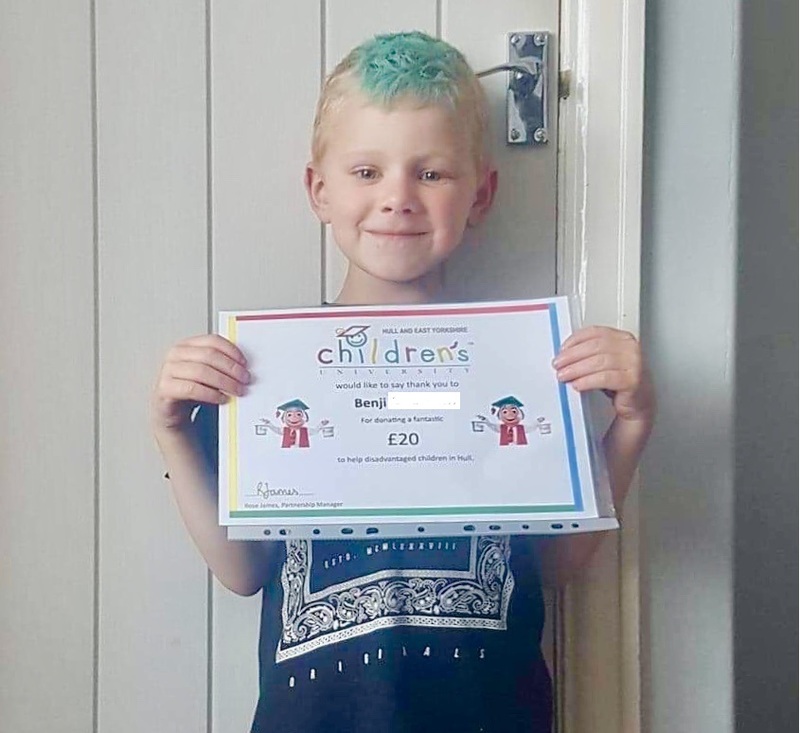 He came into the office with the proudest smile on his face and presented us with a whopping £20 that he had saved up for the charity. 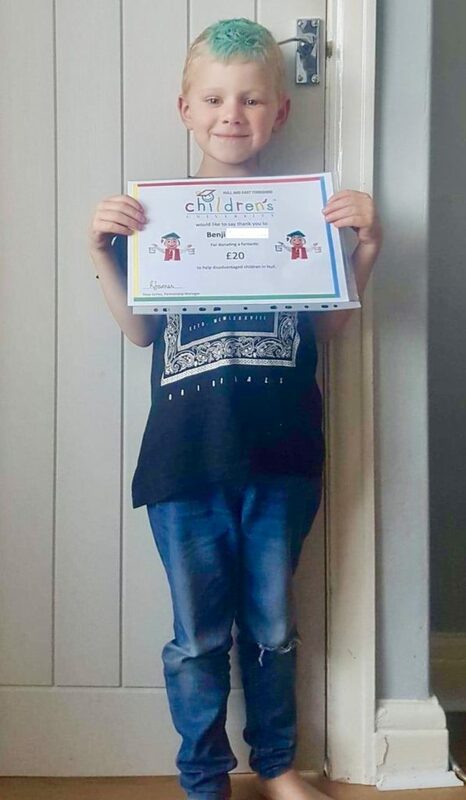 We told Benji that his donation would make a real difference to the work that we do and we presented him with a very special certificate to say thank you. We hope that Benji’s wonderful act of kindness will inspire others to do the same, so we have created the #BelikeBenji campaign for those of you who would like to match Benji’s donation. At the end of the campaign we will tell Benji how much his kindness has helped to raise. To donate, all you need to do is visit http://uk.virginmoneygiving.com/fund/belikeBenji and show him your support!